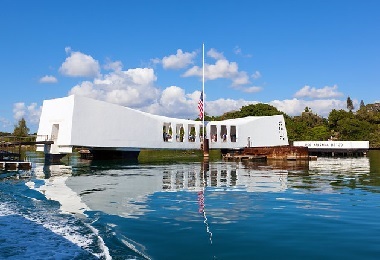 Attire: Dress comfortably but please remember that shirts and shoes required on the USS Arizona Memorial; swimsuits not permitted. High heels, dresses and skirts not recommended. 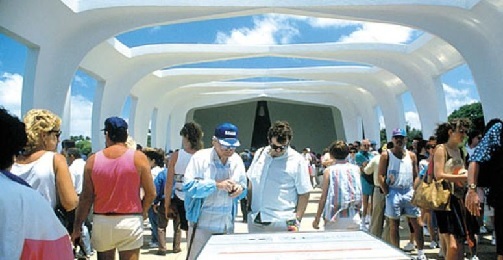 Bags not allowed in Pearl Harbor Visitor Center but if needed may be checked and stored for an additional fee. Snacks are available at the USSArizona Memorial Visitor Center and the USS Missouri gift shop. 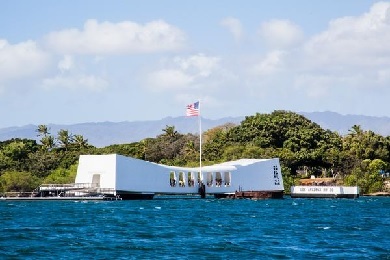 Sightseeing in Hawai'i isn't complete without a visit to the two symbolic "bookends" of the Pacific War- the USSArizona whose bombing was the catalyst that propelled the US into WWII and the USS Missouri on whose decks the Japanese formally surrendered. 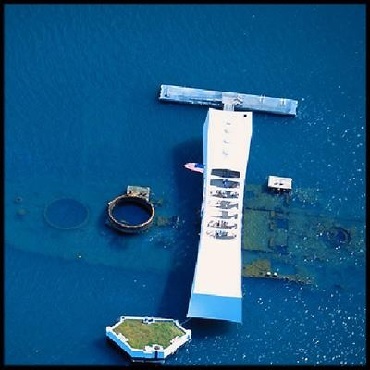 The Pearl Harbor Remembered Tour is led by an E Noa guide whose knowledge of and appreciation for these historic sites makes this "memorial" tour an experience to remember. 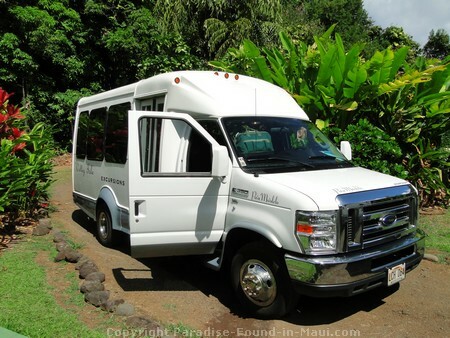 Let us handle all the details including transportation, entrance fees and tickets. Just relax and come along for the ride. Exhibits and artifacts at the Pacific Historic Parks Pearl Harbor Visitor Center set the scene, vividly depicting the events of December 1941. 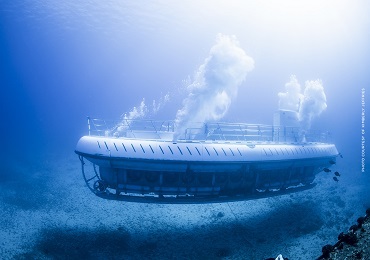 Next, you head by boat to the USS Arizona Memorial, where visitors from around the world pause to reflect; looking down on the ruins of the sunken WWII battleship. Aboard the nearby USS Missouri you learn about "Mighty Mo's" wartime history and see a signed copy of the surrender document that ended the war. 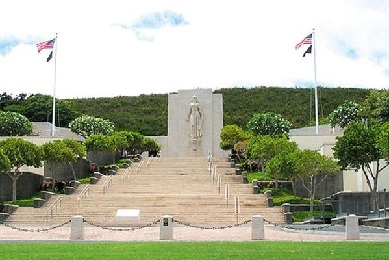 Don't miss the USS Oklahoma Memorial, a monument to those who lost their lives in the attack on Pearl Harbor. 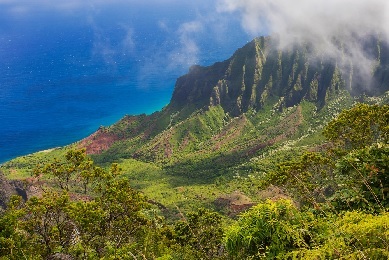 A drive through Punchbowl Crater, home of the National Cemetery of the Pacific, completes this tour. Here, 38,000 markers pay tribute to the men and women of the US Armed Forces who have sacrificed for their country. 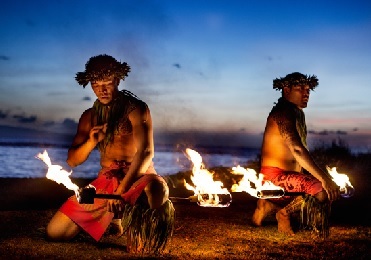 Throughout the day, your E Noa guide shares insightful details about the beautiful island's place in history. 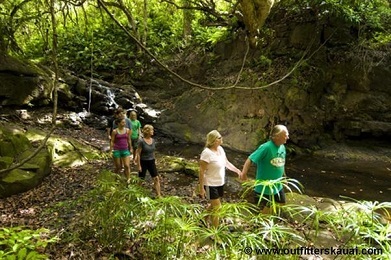 Experience this "memorial" tour and you will find a new appreciation for O'ahu and it extraordinary past.